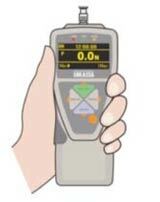 DS2-110 Digital Force Gauge | Imada Inc. 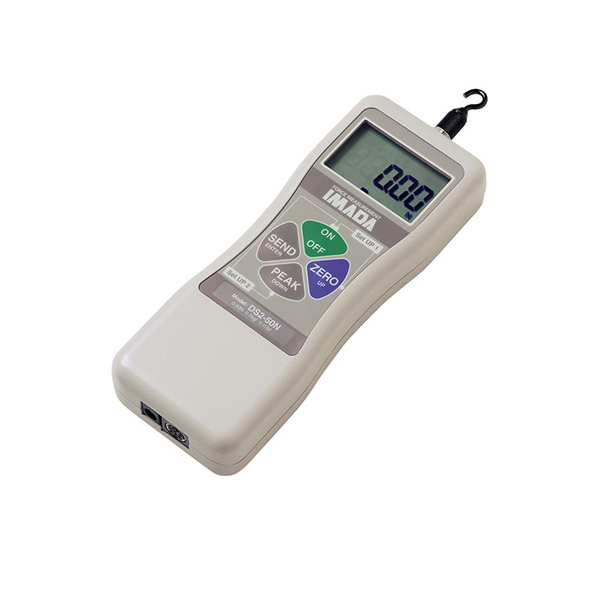 The DS2 series is Imada’s most economical digital force gauge. 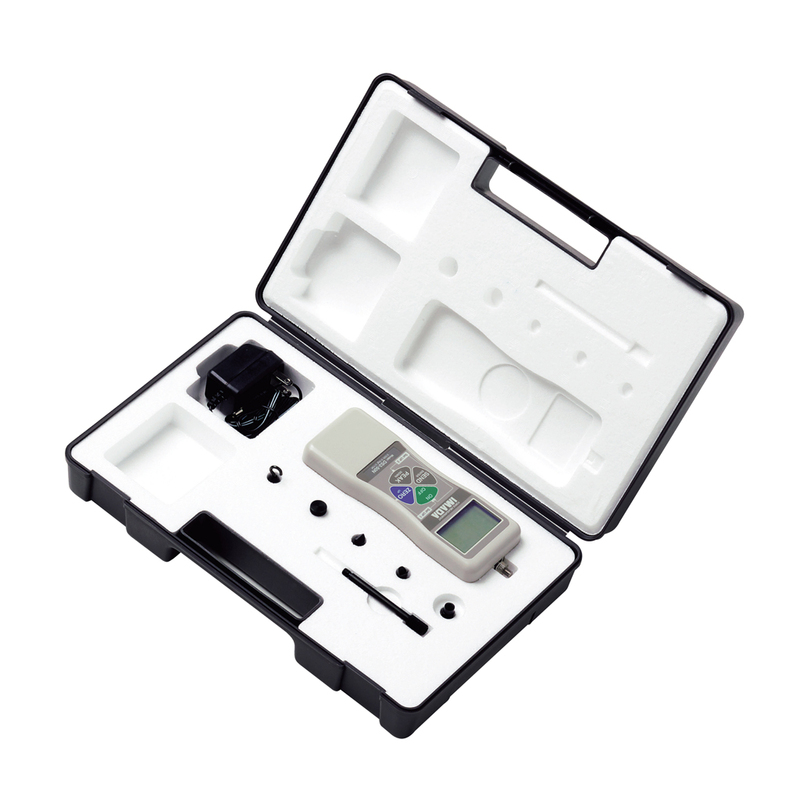 It features a large, easy-to-read LCD display and simple push-button operation. An ergonomic metal housing protects the highly accurate loadcell and electronics in tough industrial environments. 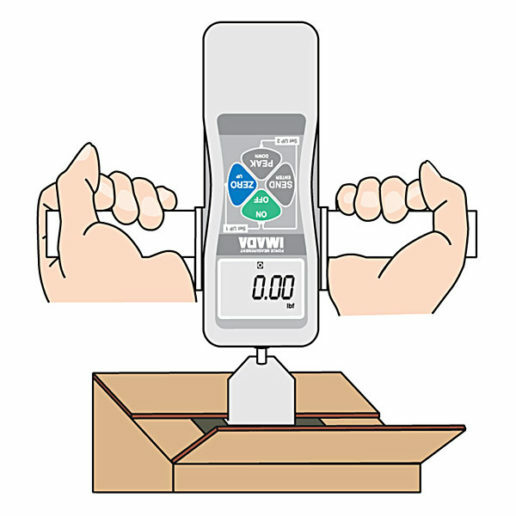 The gauge can measure both tension and compression, with an icon indicating the direction on the display. A low battery icon will appear when the NI-MH batteries are low. Overload icon will flash and unit will emit audible alarm at 110% of full scale. If desired, you can program high/low setpoints to enable Go/NoGo testing using the LCD indicators. Standard outputs (RS-232C, Digimatic, and ±1VDC analog) enable you to acquire data for permanent records. All gauges come with a 3-Point Certificate traceable to NIST. ISO Certificates are available at an additional charge. All gauges are sold in a complete kit with gauge, hard plastic carrying case, a set of six measuring attachments and AC adapter/charger. 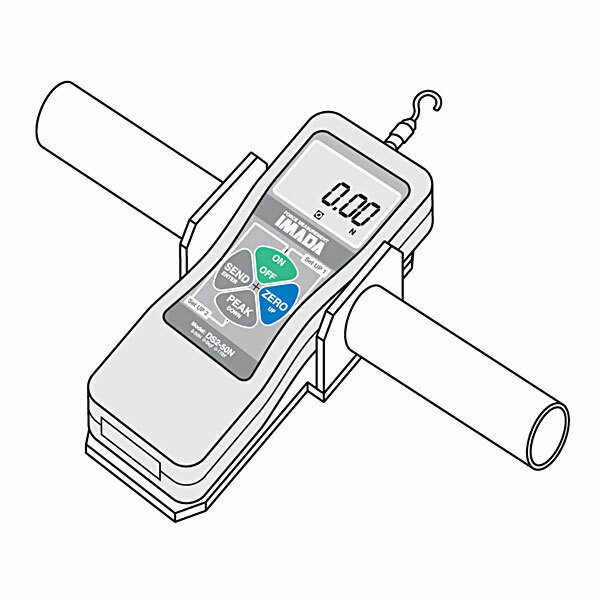 All gauges can run on the internal NI-MH batteries or the AC adapter/charger. An optional handle to facilitate the measurement of heavy loads is also available. Included (120V or 230V) with the purchase of a new gauge. 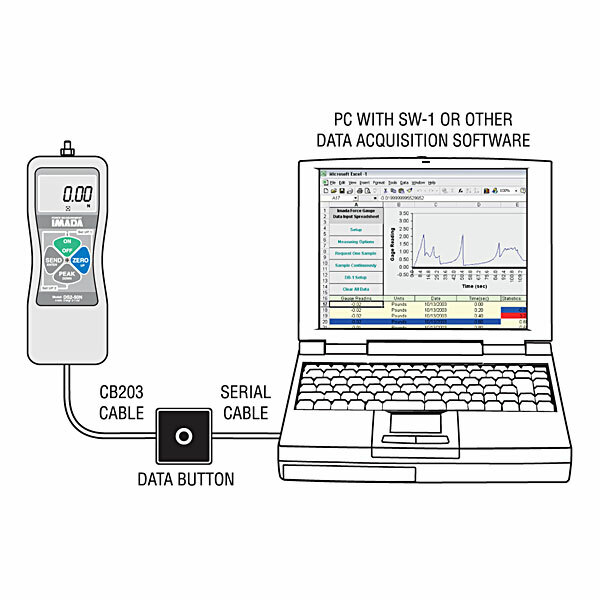 The DS2 is compatible with Imada’s SW-1X Force Data Acquisition Spreadsheet. Acquire and analyze data in real-time in Microsoft Excel. 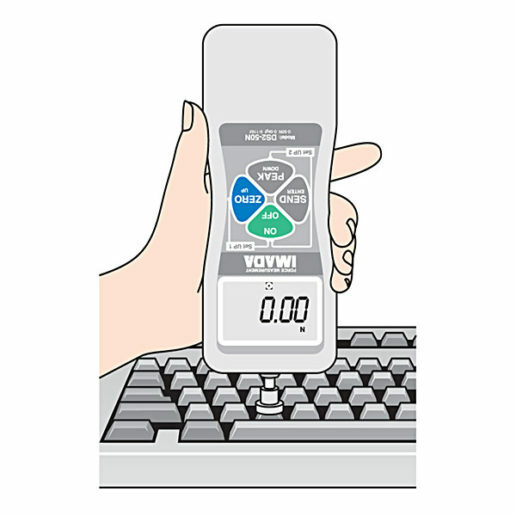 Log and chart measurements as well as statistical information and control the gauge from your computer.